There’s nothing like the sunshine on your face, the wind in your hair and the Chicago skyline as your backdrop. 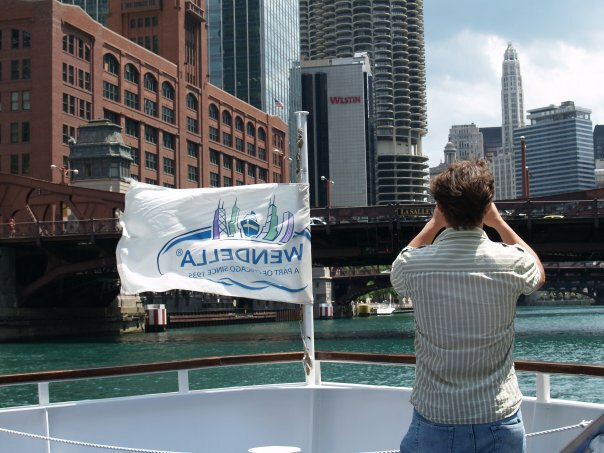 As the summer days begin to wind down, you should take advantage of the warm weather and explore some of Chicago’s finest lake and river cruises, including kayak rentals for the more adventurous types. Who doesn’t want a little mid-week relief? Check out Shoreline Sightseeing’s Wind Down Wednesday cruise on August 24th. 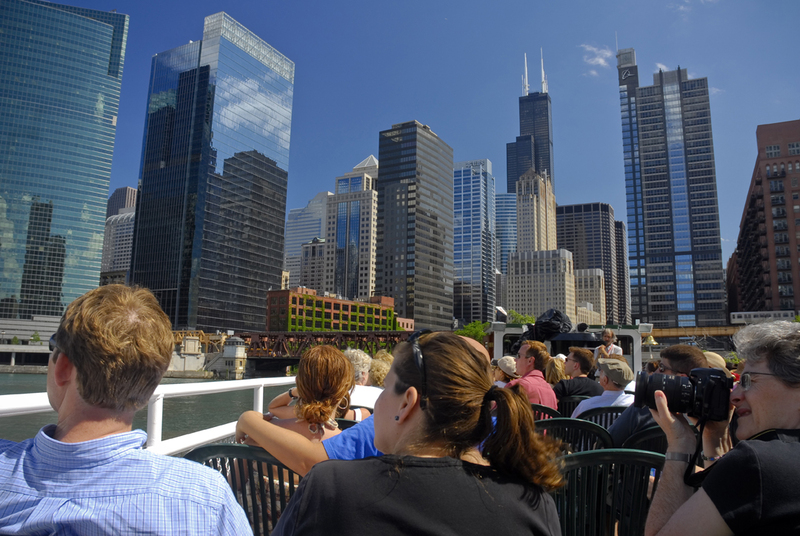 Cruise Lake Michigan for incredible views of the Chicago Skyline while enjoying complimentary drinks and drink deals, free appetizers and live music at the LandShark Beer Garden. Plus, the evening ends with a brilliant Navy Pier Fireworks display. Or spend a Friday evening sampling specialty beers on the Shoreline Sightseeing Brew Cruise. The September 2nd cruise features a selection of beers from Harpoon Brewery including Rich and Dan’s Rye IPA, Harpoon IPA, Leviathan Imperial IPA and Octoberfest, a seasonal beer. Plus enjoy tasty snacks from Harry Caray’s Tavern. Visit BrewCruises for ticket and departure details. If you’re more of a wino, check out Wendella’s Wine & Wave Tour on September 14th. Kafka Wine Company features a variety of wines during this two-hour architectural river cruise. Plus, you can sample favorite Italian dishes by Buca di Beppo. For more architecture river tours, the Chicago Architecture Foundation offers an extensive list of options to meet your travel plans. This tour is a must for out-of-towners and Chicagoans alike. You’ll walk away with amazing insight about Chicago’s rich history. Itching to get in the water? Chicago offers a variety of kayak and paddle rentals, including guided tours of the city. If you’re like me, you might be eager to try something new but with the security of a friend. Have some laughs and kayak in tandem. It will make for an unforgettable Chicago experience. 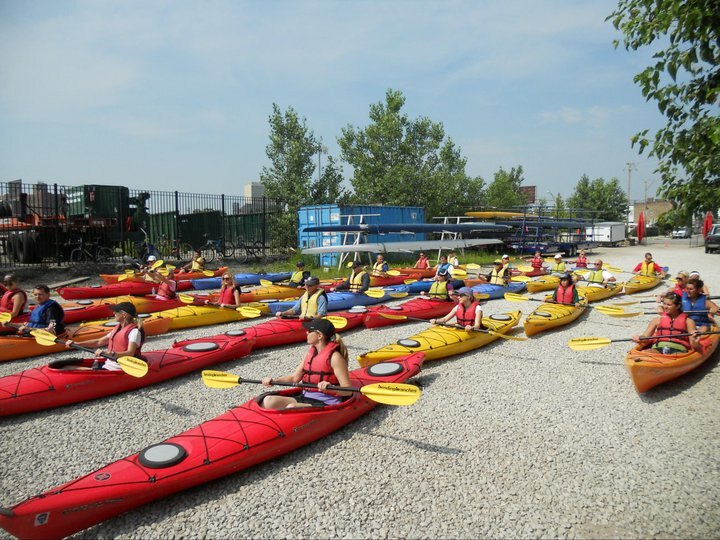 For more information on kayak and paddle rentals, check out Kayak Chicago, Wateriders and Chicago River Canoe & Kayak. This entry was posted in Arts/Culture/Entertainment and tagged architectural tour, architecture, architecture tour, boat tour, chicago, Chicago Architecture Foundation, kayak, rentals, river tour, shoreline sightseeing, sightseeing, tour, wendella. Bookmark the permalink. Surprised you didn’t mention Chicago Detours. They offer a view of the city that’s beyond even a locals view. Really cool tours with iPads and fun guides. Hi! Thanks for the heads up, and we think Chicago Detours are great too! This particular post was about tours on the water though. We’ll be covering more tours in the future, so stay tuned!